Li Layun’s life may be very different from yours. She lives in very poor conditions in rural China as a farm worker. As a widow, she faced heartbreak when her husband died and she was responsible for raising her children. Later, one of Li’s sons died. She experienced severe depression. Thankfully, a Christian in her village began telling Li about Christ. Little by little, Li listened. She accepted Christ into her life, but wanted to know more about God and how to live for him. This year an estimated 1 million new believers like Li will commit their lives to Christ in China alone. Unfortunately, Bibles are hard to come by in this country once closed to the Gospel. Between a Bible shortage and the inability to afford one, many people like Li can only hope for a Bible to call their own. 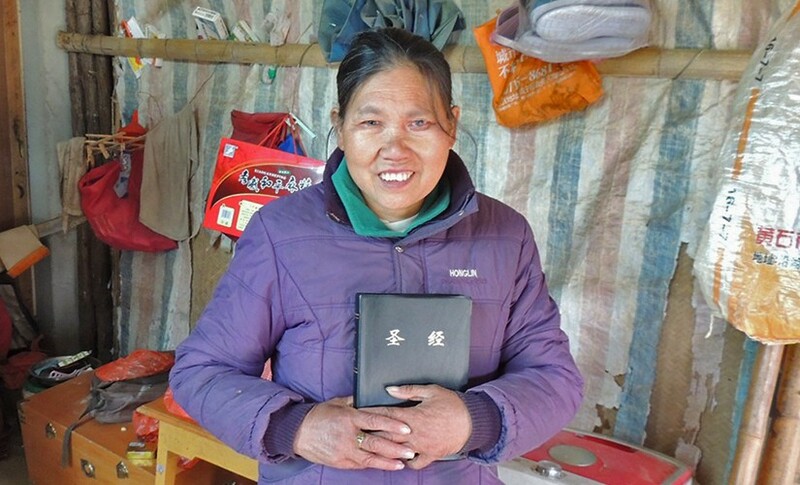 But thanks to the faithfulness of American Bible Society’s financial partners, Li received her very first Bible when our local partners on the ground visited her village! She was filled with joy and thanksgiving. Li may face different types of struggles than you. But now, thanks to the generosity of our financial partners, she has one thing in common with you… she can find hope and peace in God’s Word. Helping entire communities see, hear, and engage God’s Word. 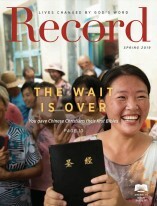 As the number of Christians in China continues to grow, the demand for God’s Word in rural areas also increases. Suffering communities are finding hope through Bible-based trauma healing.